Recently I had a wonderful opportunity to teach Sonia Sumar’s, Yoga for the Special Child® in my local school district. This does not happen often. It was the result of a persistent and dedicated teacher’s knowing that all children can benefit from yoga and the support of the PTSA. Sonia’s therapeutic approach for teaching provides the benefits of yoga to infants and children with Autism, Down Syndrome, Cerebral Palsy and Learning Disabilities. I was asked to teach six classes of students with a variety of skills and needs in a kindergarten through third grade. Some were nonverbal and on the autism spectrum, some had learning disabilities and there were those whose disabilities put them somewhere in between. With yoga mat, LED candle, music for guided relaxation (yoga nidra), and pictures in hand, I entered these classrooms to be welcomed by teachers, staff and students. The classes offer the methods of yoga in five practices. First, is music and sound therapy, which combines hand movements and sound vocalization/verbalization to develop concentration, breath control, communication and motor skills. The children would participate in chanting expressions that would set a positive, self-image. The second practice is cleansing, a practice that eliminates excess phlegm and mucus from the respiratory system, followed by eye exercises, which help in improving focus, attention and concentration. The third practice was pranayama, deep breathing exercises, such as deep belly breaths and alternate nostril breathing. The effect of this is to deepen breaths so that oxygen reaches the lower lungs, self massages the organs of digestion and improves circulation throughout the body. Fourth came the poses (asanas), 23 in all and a series of twelve called Sun Salutations, all of which lead to the release of mental, muscular and physical tensions while strengthening and working with the body on a structural level. The last activity was guided, deep relaxation, the time the body relaxes and processes all the benefits of the practice. The sessions, one day a week for six weeks, went by quickly. Yet within those six weeks each and every student made progress. They learned poses and belly breaths, chanted and would use the candle or their thumbs to practice eye exercises. The most requested part of the sessions, either verbally or by pointing to pictures or by lying down, was the final practice, that of relaxation. At about ten minutes (or more) towards the end of the session, lights would be turned off, soft music would be played and the students would lie on their backs and be guided to relaxation. The teachers and I witnessed students relax and let go of any stress and come to a calm state of being. Some students could do this within a few minutes and there were others that could really never settle down in that amount of time and needed up to twenty minutes. I would wonder what it was like to not be able to still ones self, and how difficult just this act alone was for some. Having the chance to learn how to relax is empowering to children who often feel out of control. 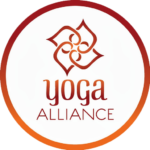 I believe one of the reasons the students were all able to benefit from Yoga for the Special Child® is because there is an inherent knowing of the body that its practice rejuvenates the whole self. Yoga for the Special Child® helps children with or without delays achieve their highest potential and experience health and happiness. As a special education teacher, there is no doubt in my mind that yoga has a positive place in the school setting.